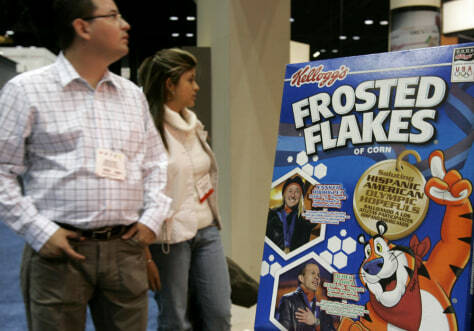 Buyers visiting Kellogg's display Monday at the Food Marketing Institute's annual show in Chicago see the company's commitment to advancing market share in the Hispanic community. From “Tony el Tigre” on Frosted Flakes boxes to a Latin-rhythm exercise video, Kellogg is hungry for Hispanic shoppers. And it isn't alone.